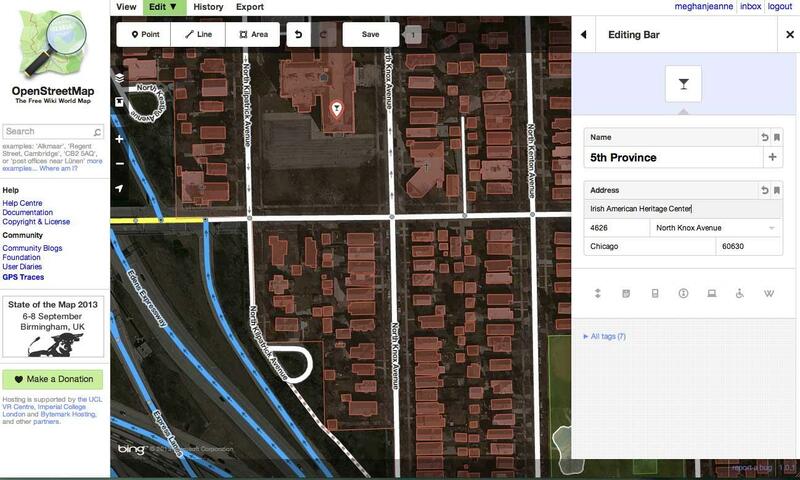 Google Map Maker vs. OpenStreetMap: Which mapping service rules them all? You have a choice when it comes to maps, and the answer isn’t as clear as it used to be. Google’s maps are still king, but OpenStreetMap is making a name for itself, gaining favor among many apps and services that rely heavily on maps, such as Foursquare and Evernote. OpenStreetMap launched in the UK in July 2004 as an alternative to the large number of proprietary maps that were big in the country at the time. Where does OpenStreetMap get its granular data from? You. Not in an NSA-eye-in-the-sky type of spying, but from information manually input from thousands of casual cartographers. It is truly the Wikipedia of maps. In September 2012, MapBox, developer of the iD mapping editor and one of the main contributors behind OpenStreetMap, received a stipend of $575,000 from Knight News Challenge to further improve OSM’s core infrastructure. As for Google, it has recognized the usefulness of a ground team – particularly in far flung locations where its Street View contraptions haven’t reached yet. In June 2008, the company introduced Google Map Maker, which allows casual cartographers to add or correct information on Google’s maps. Sounds familiar, doesn’t it? Though there are similarities between the two community mapping programs, what’s the best one to invest time into if you want to see your mad mapping skillz reflected online? The biggest difference between Google Map Maker and OpenStreetMap is how it treats the data you feed it, which may influence your decision on which one to use. OSM describes itself as an open data source, meaning that any person or company is able to use the map information contained in OpenStreetMap. Bear in mind that companies such as Foursquare and Evernote pay MapBox, which creates APIs for OSM, to use the maps for their app, but any information that Foursquare or its users add to it becomes part of and available to all OSM users. In other words, there’s no specialized OSM map that a paying company has access to that a regular Joe doesn’t also have access to. OpenStreetMap recently switched from a Creative Commons license to an Open Database License (ODbL), which is a share-alike license. It’s similar to the previous Creative Commons license as both allow OSM to be shared and used as long as all of the data one person or company puts into it is made available to all of OSM’s users. By submitting User Submissions to the Service, you give Google a perpetual, irrevocable, worldwide, royalty-free, and non-exclusive license to reproduce, adapt, modify, translate, publish, publicly perform, publicly display, distribute, and create derivative works of the User Submission. You confirm and warrant to Google that you own or have all of the necessary rights or permissions to grant this license. You also grant to end users of Google services the right to access and use, including the right to edit, the User Submissions as permitted under the applicable Google terms of service. Depending on your personal stance, this may not be a big deal for you. It is, after all, a way to contribute to a map that is pretty much the online standard around the world. Speaking of that, because of Google Maps omnipresence, there’s not always a lot of information to add to heavily populated areas. Much of the major road information missing from Google Maps is in remote parts of the world, such as parts of Africa and Asia. Google Map Maker lets you instantly view your edits, but it cautions that your edit will need to be reviewed before it’s officially added. Oddly enough, even if it’s your first edit to a map, you can still review other people’s edits. In fact, reviewing others’ edits is a way to get your edit reviewed more quickly. However, there’s no telling how long it will take to get reviewed. One edit in our neighborhood had been waiting for review since October 2012. 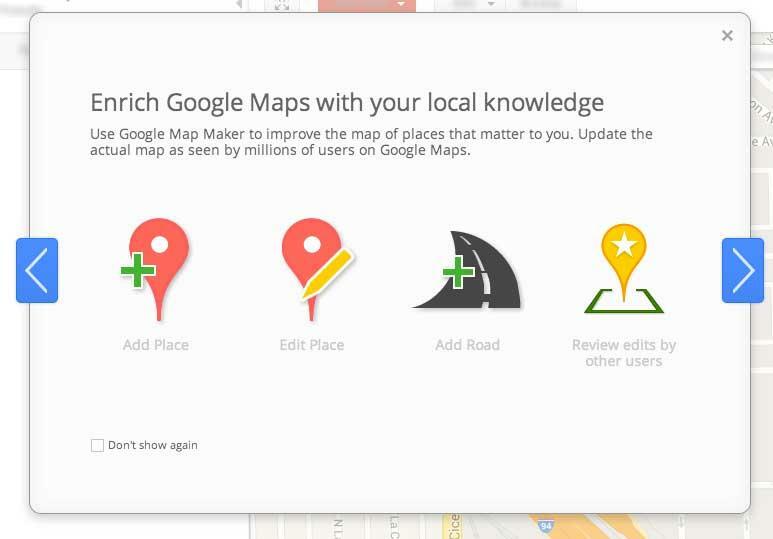 Google’s Map Maker looks a lot like Google Maps before the most recent update. There’s a column on the left side and the map is on the right. The big difference is that the left column has a header for “My Neighborhoods.” This isn’t the traditional Mr. Rogers definition of neighborhood, but rather geographical locations that you’re interested in. We had a little bit of difficultly adding locations other than where we were currently located, but we were able to add them once we included a city name and state instead of just a zip code. 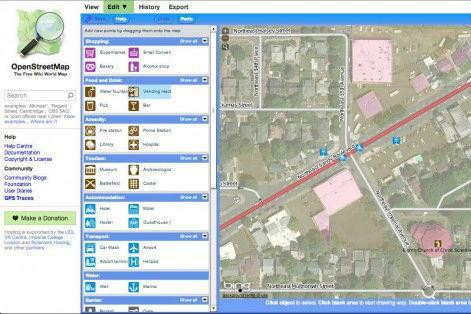 Adding neighborhoods isn’t required to edit a map, but it does provide a general area for viewing and reviewing map edits made by others. By comparison, you can view any area on OpenStreetMap with the iD editor and not have to specify geographical areas of interest or expertise. Adding a road, building, place of interest, or town boundary is similar in both applications. In our experience, the OSM iD editor seemed more user friendly and straight forward. 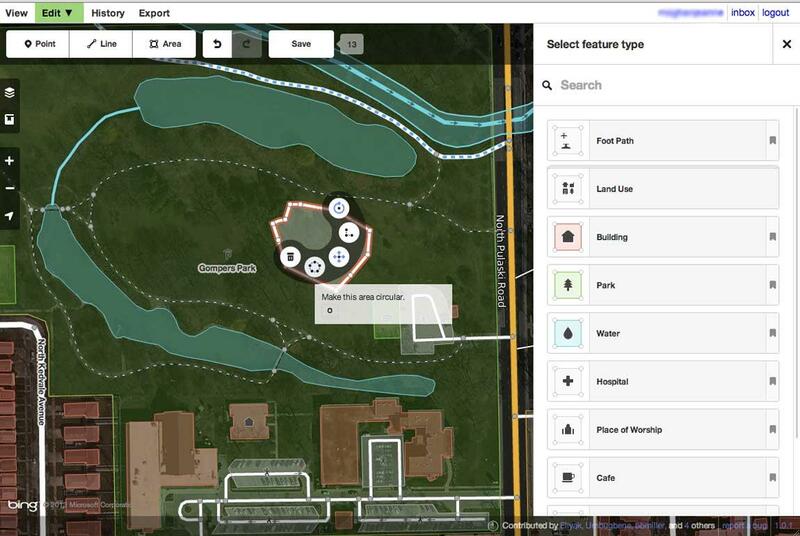 We found it much easier to add a business within a building using the iD editor than it was in Map Maker. 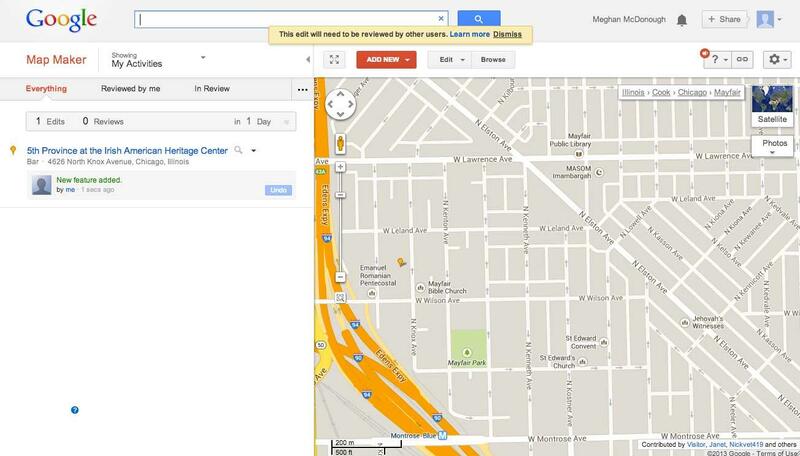 It’s no secret that Google is pushing Google+ extra hard, and Map Maker is no exception. The company encourages Map Maker fans to gather for “MapUps” where amateur cartographers meet up to update Google Maps together. Sounds pretty geeky, right? The MapUp may be held in person or virtually (through Google Hangouts, of course). Google suggests MapUps as a project for a cycling club that wants to add bike paths. The host of an in-person MapUp is elevated in the Map Maker world to an Advocate, as long as at least 20 people attend who each make at least five approved edits. If that’s not enough cred for you, there’s also a club for Power Mappers. This is for cartographers who make numerous edits and reviews to Map Maker. There’s a private forum and a “unique opportunity to work behind the scenes toward mapping initiatives and product improvements.” Google is really pushing the social side of Map Maker to the point where it seems a little contrived. Make no mistake, OpenStreetMap is not without its social entities, either. There are numerous mapping meet ups we found listed on openstreetmap.meetup.com and many were taking place this month. We can’t say the same for Google’s MapUps. We only found two events for the month of July, one of which was in Romania. To be fair, Google says it has over 25,000 Map Maker users, while OSM says it has over 1 million. Ultimately, if you’re interested in cartography, OpenStreetMap is more readily accessible and it’s easier to find others in your locale who share the same interest. Google’s Map Maker is not without its benefits, but our overall experience with it felt more like we were navigating a ghost town instead of a thriving community. Updated on 7/29/13 by Meghan: Clarified MapBox’s relationship to OpenStreetMap, Foursquare, and Evernote. Updated on 7/30/13 by Meghan: Changed language regarding OSM editors.